Can a New President Fix Indonesia's Economy? Joko Widodo now faces putting campaign promises into action. Jakarta governor Joko Widodo, widely known as “Jokowi,” was officially declared president of the island nation with over 53% of the vote last night. As part of his well-organized, social media-savvy campaign, the former furniture exporter and child of the slums has made some very specific promises about righting Indonesia’s economy, which has not have lived up to its potential in recent years. Despite a youthful population and a middle class that is expected to double to about 130 million in the next six years, the country’s economy is fragile, analysts say. Indonesia struggles with high debt and over-dependence on foreign currency inflows. The country’s currency and stock markets were some of the worst-performing in the world last year. With 247 million people, Indonesia is the fourth most populous nation in the world after China, India, and the US. It is the most populous majority Muslim country (about 88% of the people are Muslim) and the world’s third-largest democracy, after India and the US. Jokowi has vowed to ramp up Indonesia’s growth from its current rate of 5.2% to more than 7%. That would have a knock-on effect for China, Japan and Singapore, Indonesia’s largest trading partners, as well as boost multinational giants clamoring to do more business there. 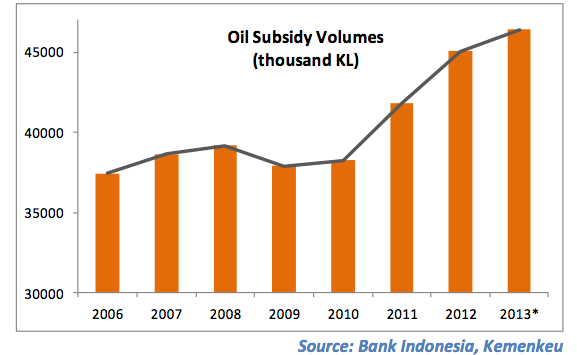 Jokowi plans to cut fuel subsidies, which cost the government $20 billion a year, gradually over the next four or five years. Jokowi wants to make the local politicians who control a third of Indonesia’s annual budget (about $160 billion) spend more efficiently while trimming bureaucracy. Right now only half of the local budget goes to civil projects, like much-needed road improvements to trim the long travel times between major cities and industrial hubs. On the campaign trail, he pledged to build 2,000 kilometers of new roads, 10 ports, 10 airports, and 10 industrial estates in the next five years, using money saved from fuel subsidies. Finishing just a fraction of these projects could boost exports and tourism. 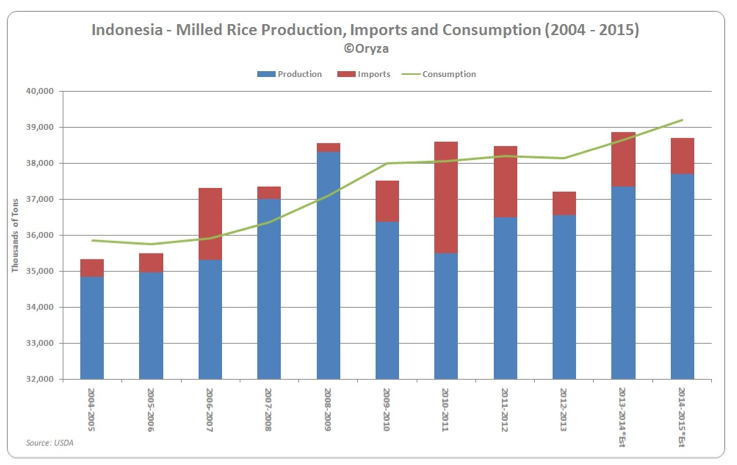 Jokowi has promised to eliminate rice imports by improving irrigation and growing methods. Expectations for Jokowi, who has been the front-runner for the entire election, and for Indonesia’s economy overall, are high. Even before he was elected, analysts at Lloyds predicted the currency would go from “worst to first” in Asia this year, and the Jakarta Composite Index rallied in recent weeks on the expectation he would win. Now that he’s bagged the election, the hard work really starts.